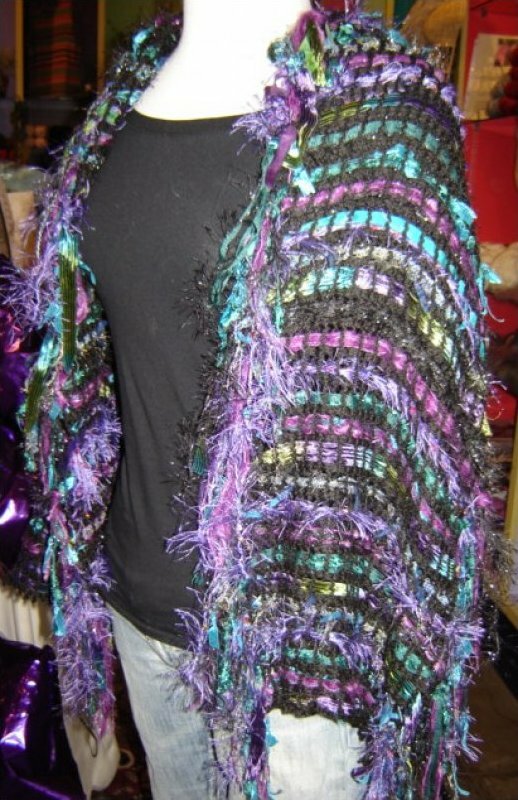 This scarf was made using a woven fabric mesh and a variety of ribbon, mohair and wool yarns blended to make this exquisite scarf. Measures 21" X 58". 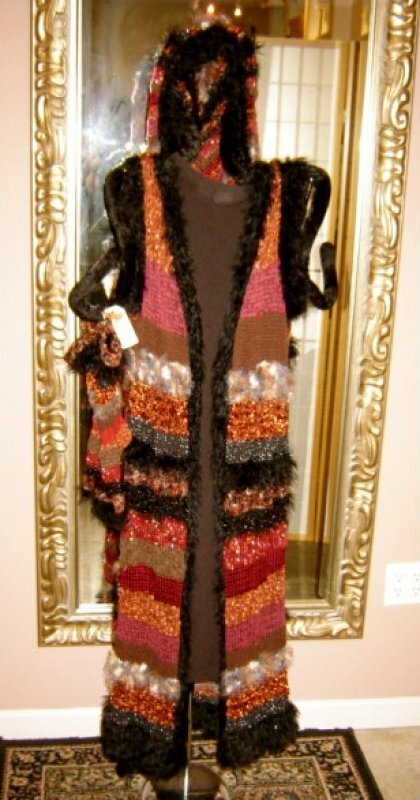 This Hand knit sweater is made using Feza Alp Premiertrimmed in Feza Lady and measures 48" Long and 33" wide unstretched. 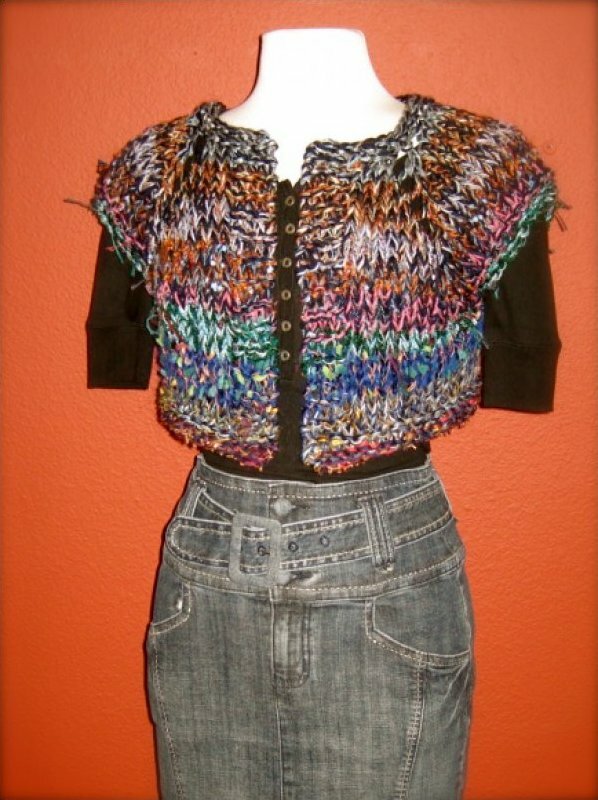 This garment will fit up to a ladies size 10. 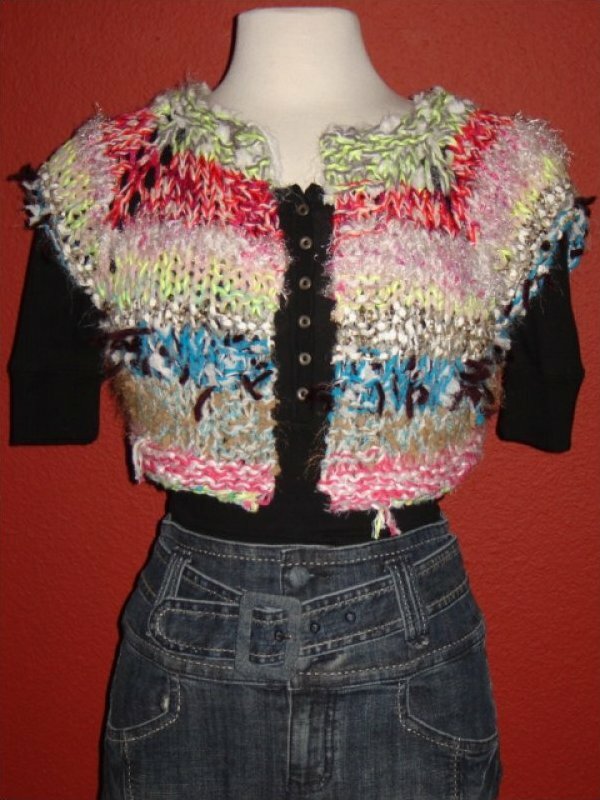 The sweater is hand knit using Feza Oriental yarn which is a hand tied yarn mixed content bulky. The sweater will fit up to size 12.